There truly is something for everyone. Let us show you all the amazing things we have to offer. See for yourself by scheduling a campus visit, or you can jump right in and apply now. It's a dog, right? Yeah, but at SIU it's so much more. It's a mindset. Once a Saluki, always a Saluki. 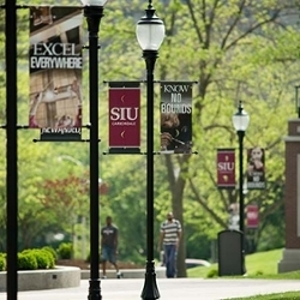 Ranked among the top 5 percent of all U.S. higher education institutions for research, our students are making an impact in Southern Illinois and around the globe.